We are all journalists and publishers now: at the touch of a button we can send our words, sounds and images out to the world. 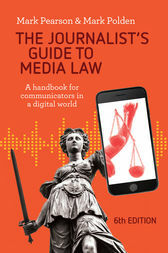 No matter whether you're a traditional journalist, a blogger, a public relations practitioner or a social media editor, everything you publish or broadcast is subject to the law. But which law?